Symphony is a framework and suite of tools that allows for the design, prototyping and implementation of applications that interpret and visualize a variety of biological signals in real-time. Symphony integrates a real-time signal processing framework, a 3D visualization package, and the foundation required to rapidly develop diverse applications. Here are some examples of real-time applications that have been developed with Symphony. Other applications in development with Symphony when MediaLabEurope closed its doors included Peace Composed and Aura Lingua. Research and development of signal processing occurring in parallel with app development. Uses Sponge to separate signal processing and rendering tasks. Uses native code to interface with legacy signal acquisition software. Currently being extended by researchers with no prior C# experience. 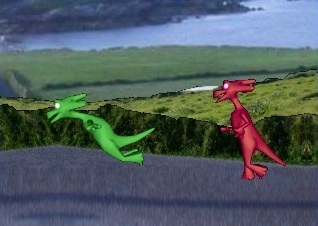 MindGames group and University College Dublin Elec. Eng. Dept. Goal: “Magic Mirror” application used in physiotherapy and live performance environments. Showcased in the Féileacán project at the closing ceremonies of AAATE2003, September 2003, Dublin. 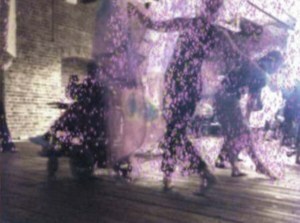 Provided the complete interactive technical component of the Anima Obscura performance at the United Nations World Summit on the Information Society, December 2003. An important component of Symphony is a real-time signal processing framework that has been used in our applications to process everything from live video to brainwaves. The framework provides a visual interface that allows a designer to drag and drop atomic signal processors that perform operations ranging from wavelet transforms to image differencing. These can be assembled into real-time signal processing networks that are used by an application. Relax to Win PocketPC running under MiniSymphony on an iPAQ 3870. MiniSymphony is a version of Symphony that runs on the .NET Compact Framework platform. It was created by removing Symphony’s dependency on a couple of native libraries, and whittling away a bit at its Visualizers. In a matter of days, the first version of Relax To Win PocketPC (without biometric input) was implemented using MiniSymphony. There were plans within the group to port the biometric input to Relax to Win into a new portable version of the game using MiniSymphony. 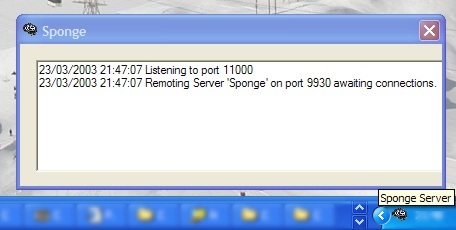 The Sponge Server awaiting connections. One aspect of the signal processing framework, nicknamed Sponge, provides the ability for Symphony to distribute signal processing across a Local Area Network. Sponge uses WMI technology to query other computers on the LAN that are running a sentinel program, and determine what processor and memory resources they have available. Then, using .NET Remoting, Sponge can connect to chosen machines and deploy signal processing tasks. The original intention of Sponge was to facilitate system designs where signal acquisition and processing are performed on potentially unspecified computers, in a dynamic LAN environment. Sponge has allowed for this, and also offered some tremendous fringe benefits. For example, Still Life can use Sponge to record a live video of a performance by streaming screenshots to another computer over the LAN in real-time. These can be processed off-line to turn them into a moving video file. 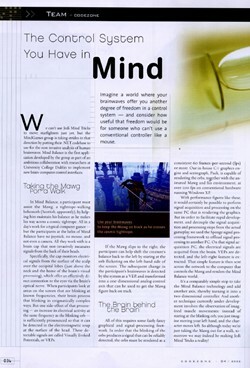 Symphony was developed between 2002 and 2004 at the MIT MediaLabEurope, which has since closed its doors. Since leaving the lab, I independently developed a successor to Symphony. Work was postponed on that codebase before I joined Microsoft’s Developer and Platform Group. If you have any questions about Symphony, or are interested in leveraging a visualization and signal processing engine, please don’t hesitate to contact me.